There is much to see and do on the Isle of Skye, whether your interests are in history, the outdoor life or simply relaxing. For the historically minded, there are many castles, brochs (ancient forts), country houses and even a prehistoric site. All within a 30 miles radius of Portree, the main town on the island. There is walking, climbing, pony trekking and numerous water sports available. Or, after a busy day - just sitting in our beautiful garden overlooking the hills behind the house and relaxing. 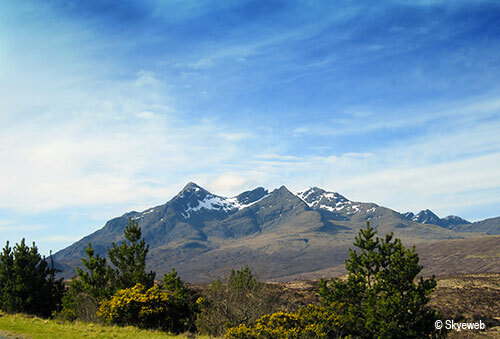 On the quiet outskirts of Portree, you'll surely find the peace and quiet you've been looking for. 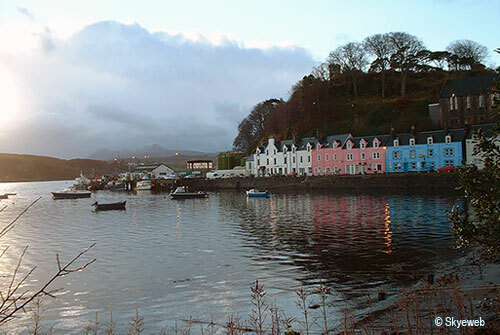 Portree is centrally located on the Isle of Skye, with few places on the island more than an hour's drive away. The Isle of Skye has amazing coastlines, mountains and very beautiful scenery. You'll be sure of a warm Island welcome at Avonlea.